Description: Features: 100% brand new and high quality. 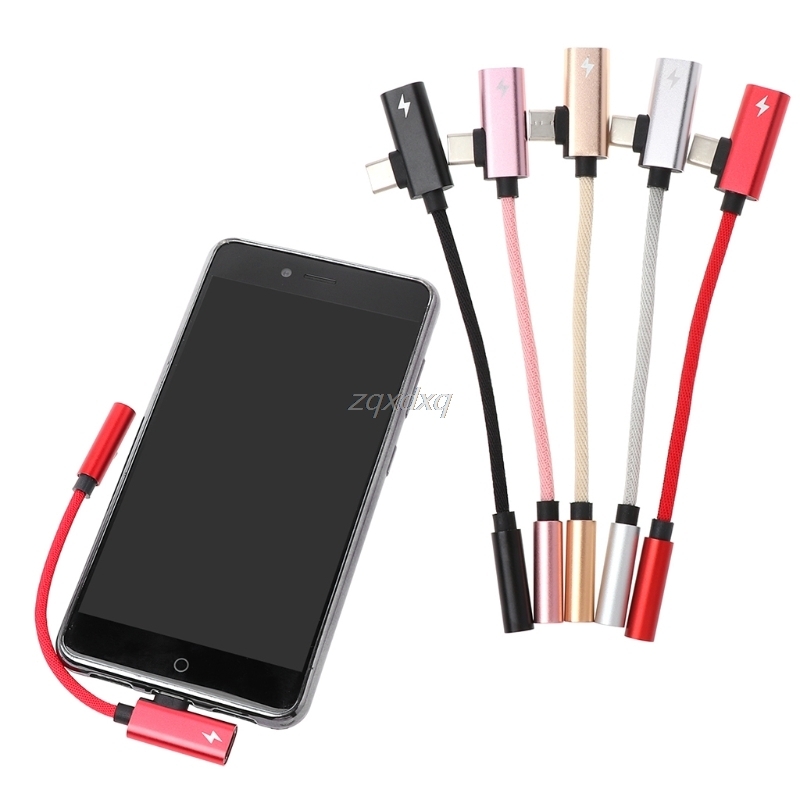 2 in 1 type c to 3.5mm audio headphone jack adapter supports simultaneous charging and audio output. Support phone call, volume control and sync data. Use this adapter you can charge the phone and listen music at the same time. 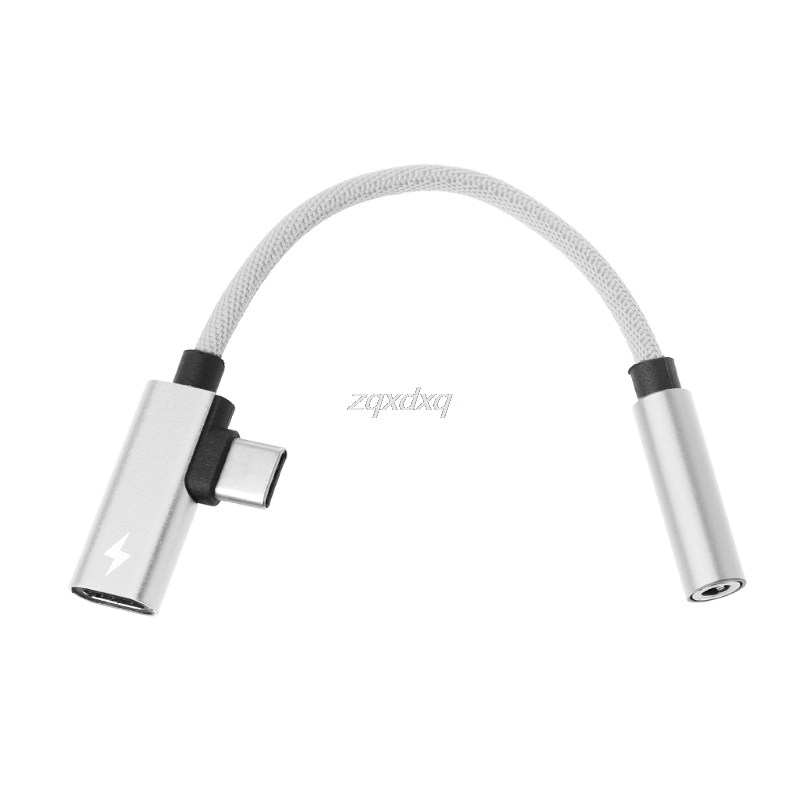 Convenient to connect your 3.5mm headphone to your USB type c devices. Also can use as type c extension cable. Pure copper wire core,high speed faster than standard cable,High charging efficiency,Stability of data transmission speed. 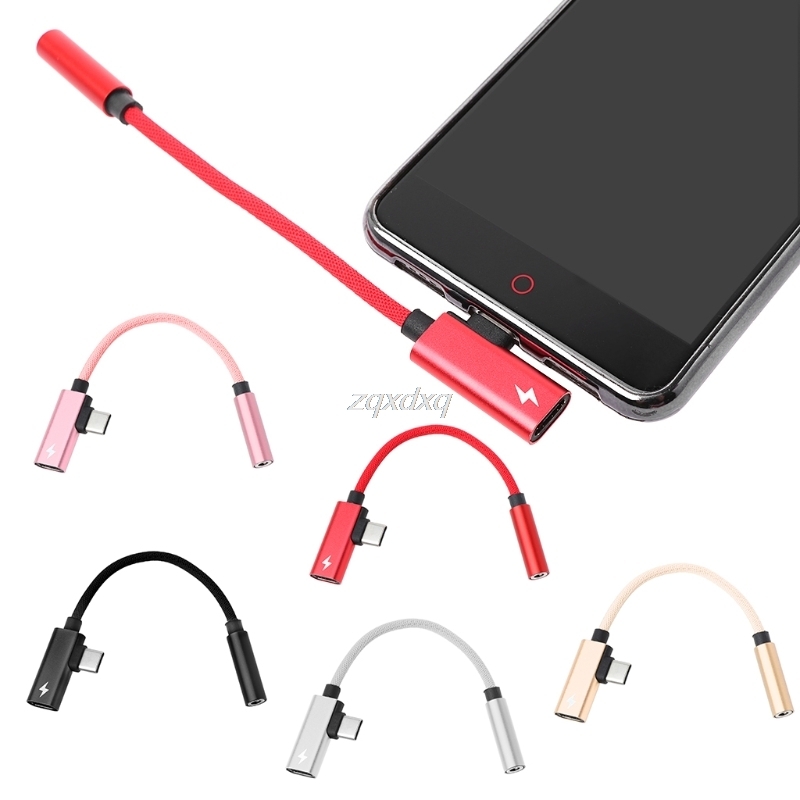 Type c connector charging cable and earphone headphone audio jack . 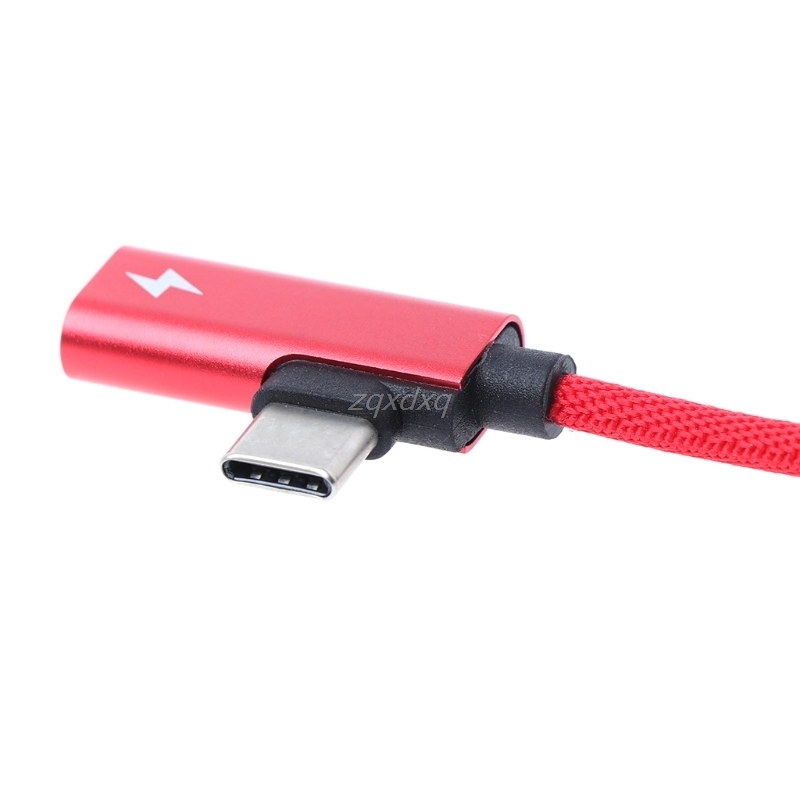 For Xiaomi 6 Xiaomi Note 3 For Huawei Mate 10 Mate 10 Pro For Moto Z For Letv Le Max 2 X820 / for Letv Le 2 Pro / for Letv Le 2 X620 For Smartisan Nut Pro For HTC Essential PH-1 For Nubia Z17,MI 6 For Sony Xperia XZ For Huawei P20 P20 Pro For Samsung Galaxy S9 S8 Note 8 For Other Type C device with 3.5mm port. Specifications: Item Type: USB 3.1 Type C Male To 3.5mm Male Audio AUX Charging Cable Material: Nylon and Metal Optional Color: Black/Sliver/Gold/Rose Gold/Red Cable Length: 14cm/5.51in(Approx.) 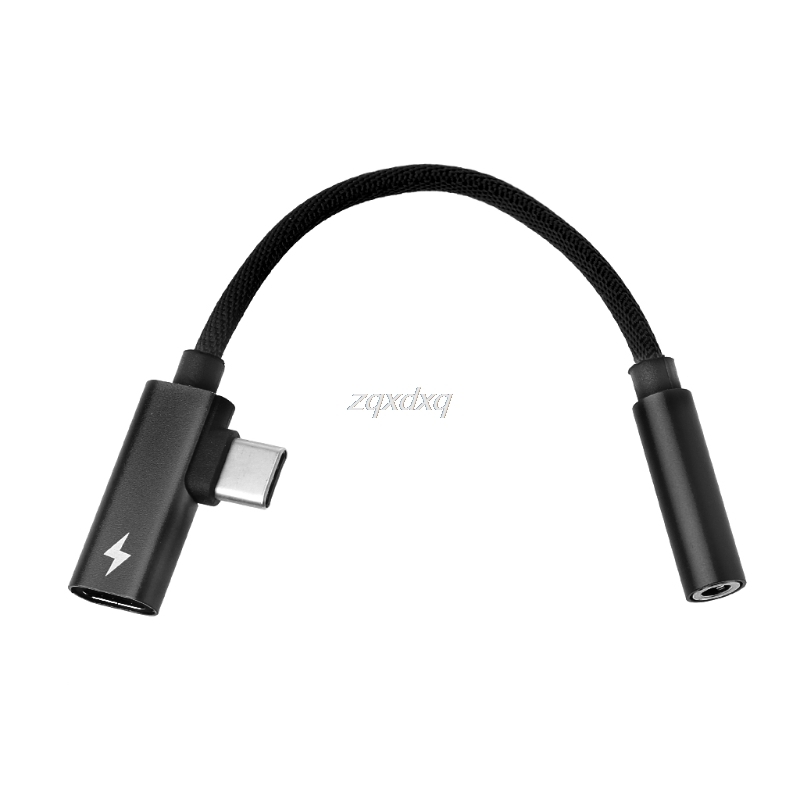 Connector A: USB Type C Connector B: 3.5mm Jack (audio) + USB Type C(charging) Quantity: 1 PC (other accessories demo in the picture is not included) Note: 1.Transition: 1cm=10mm=0.39inch 2.Please allow 0-1cm error due to manual measurement. pls make sure you do not mind before you bid. 3.Due to the difference between different monitors, the picture may not reflect the actual color of the item. Thank you! Package includes: (Not retail package) 1 X USB 3.1 Type C To 3.5mm Audio Charging Cable Thanks for coming to our shop,Hoping you have a happy shopping Trip. 1. After You placing the order, if you found the tracking information shows “Shipment pickup failure”, please do not worry, the logistic information will be updated in 3-10 days. 2. But If you found that the logistic information shows “shipment cancel”, Please contact us, We will check it and give you a New Right Tracking Number. 3. If you find your product was broken , goods part missing after receiving the package, please contact us and send photos to us, so that we can Solve it or resend to you quickly. 4. If you do not received the package in 60 days. (90 days for Brazil /Chile etc), The package may be get lost on the way or other customs reasons. please contact us first rather than opening the dispute. 5. ALI Economy class shipping with favorable shipping fee but no delivered information which can only track before leaving China.If you have not received the goods within 60 days, please contact the destination port first. If not, please contact customer service for follow-up. 6.If you are satisfied with our products and services, please leave your positive feedback and 5 stars. and 5 stars for the detailed classification of your request. Best Regards! Zhuanchanpinsiquanjia.